A city made famous by Gaudi’s modernist architecture, Barcelona is also a popular destination for family vacations. Indeed, when traveling with your young ones, you will find loads of fun things to do in Barcelona: great theme parks, out of the box museums, sandy beaches, many parks and gardens, etc. One of the must fun things to do in Barcelona is spending a day in a theme park. 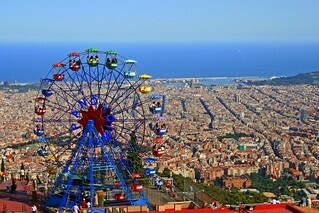 With so many amusement parks in the city’s proximity, one could say Barcelona is a wonderland for kids. Boasting a panoramic promenade and lots of thrilling rides, Tibidado Amusement Park is perched on Barcelona’s Magic Mountain. If you want to explore the entire park and try any ride, you will have to pay € 28.20. If you limit your area to Sky Walk and its rides, the price is only € 12.40. If you are in Catalonia’s capital during the summer, you can cool off in one the swimming pools of Illa Fantasia Water Park. With 20 water slides around, children will be busy all day. Illa Fantasia is also a great spot for a picnic. Entrance fees vary upon the visitor’s height and the time of the day, ranging from € 13 to € 22. Kids who haven’t reached 1 meter yet can enter the park at no charge. 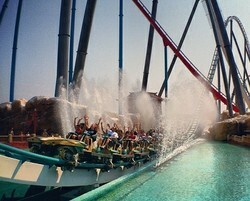 Another aquatic wonderland can be found in Port Aventura resort, located an hour’s drive away from the city. Next to it there is a theme park, where you will find rides for all ages, from the scary looking Furios Baco to the softly spinning Tea Cups. Divided into six thematic areas, Port Aventura Park provides entertainment for a whole day and even more. The entrance to the park costs € 39 for a kid and € 45 for a grown up. Bubbleparc is another attraction for kids. 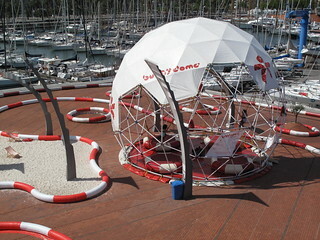 Overlooking the scenic Port Vell, this amusement park offers lots of interactive games for the little ones. The entrance to the area is free of charge, but if you want your kids to participate in the activities, you will have to pay. There are combo tickets for 2,3, or 5 rides. Their prices range from € 11 to € 20. Right in the heart of the city, housed by the historical Parc de la Ciutadella, Barcelona Zoo makes a great discovery for the little ones. They will have fun admiring the hippos, rhinos, monkeys and giraffes. As the zoo is divided into geographical area, you can take the opportunity to teach them a lesson. In Granja area, they can see and even touch farm animals. Another educative attraction in the city, Barcelona Aquarium is a great place where to teach your kids lots of interesting things about the underwater world. Actually, there is a whole section created to this effect – Planeta Aqua. Here kids will also enjoy the sight of some friendly penguins. In Explora! Zone, you will find lots of photo ops. Thus, you can leave the aquarium with unforgettable memories and lot of valuable lessons learned. Barcelona is dotted with interesting museums and art galleries, but kids seldom appreciate the same ones adults do. However, in this charming Mediterranean city they will find some museums that totally suit their tastes. Displaying all sorts of bizarre exhibits, Barcelona Museum of Ideas and Inventions is a compulsory visit if you are traveling with kids. They can have fun hearing their internal sounds, sliding from one floor to the other on a metallic tube, or walking in the air. Don’t forget to take them to the toilet. The surprises continue in this area, too. If you are raising a young inventor, check the special section the museum has for them. The entrance fee for an adult is € 7. Are your kids interested in magic? Well, that’s not something unusual. Most children are, but since you are in Barcelona, you should take your little ones to King of Magic Museum (Museu del Rei la Magia), where they can learn everything about the history of illusionism, the tools used to make magic tricks, and the costumes great illusionists are wearing.